The chemistry school of Kazan State University has a rich history. It began in the building of the chemistry laboratory that was built in the inner ensemble of the Kazan State University court in 1834-1837. Famous chemist D. Mendeleev said that it was to the discoveries made in Kazan State University chemistry laboratory that the chemistry of the whole country owed its independence. In 1844 K. Klaus discovered the element ruthenium in the chemistry school of Kazan State University. The founder of the Kazan State University school of chemistry was N. I. Zinin, who graduated from Kazan State University in 1833. Here in the chemistry school of Kazan State University he made the discoveries that served as the basis for the following branch of industry: the manufacture of synthetic dyes, explosives and medicines. From 1852 Zinin's most outstanding student A. Butlerov directed all the chemistry research of the Kazan State University. In 1864-1866 he published his classic work "An Introduction to the Full Study of Organic Chemistry" which made him famous all over the world. A bronze monument to A.Butlerov is now standing in the public square not far from the Kazan State University. After Butlerov left Kazan city his work was continued by his students V. Markovnikov and A. Zaytsev. They trained a series of distinguished chemists, among them the academicians A. Arbuzov and S. Reformatsky, to whom the remarkable Kazan State University school of chemistry is indebted for further discoveries and achievements. The museum of Kazan State University chemistry school is situated in the old building of school now. The most precious collections: personal library of A.M.Butlerov, the collection of glass chemical things. 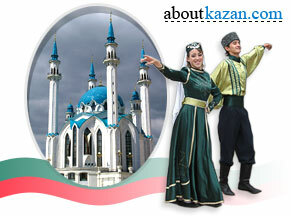 The address is Russia, Tatarstan republic, Kazan city, Kremlin Str., 18.